With over 500 million active daily users, Instagram is a great tool for promoting your restaurant or cafe; but is not effective unless done well. Businesses that are killing it on Instagram, are often killing it in revenue, too. What makes for Instagram success? Honestly - there are many elements to doing IG well, and we that discuss in more depth here. 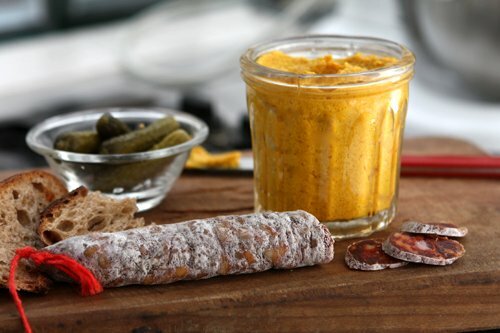 However, something we've seldom seen fail is jumping on board with food trends while they're still hot. That is; offering topical menu items that Instagrammers want to share with their friends, generating a stream of original, organic content. Garnish, dish, ingredient, or spice - this is what's happening on Instagram right now. Ride the wave of each trend, and reap all the benefits of the organic IG activity that comes with it. We're sure you're already aware, but gold leaf is 'Gram gold. We're only 5 months into this year, and we've already seen gold flaked donuts, icecream and macarons. 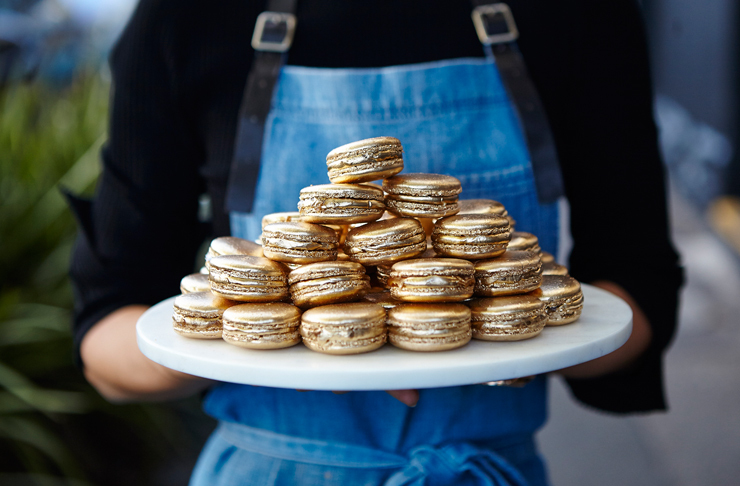 Heck, we've even seen Melbourne's first 24k gold burger. Is it necessary? No, of course not. Is it pretty? Yeah, you know it is. Conveniently, it's cheaper to execute than you may expect. It also has little-to-no taste, making it very versatile in the way you choose to use it. Lots of extra points if you're the first to add gold to that item. It's BACK. Blowing up in 2k10, we're being blessed with a rerun of the flowers-in-food trend. Edible flowers are popping up all over our plates this season, and we're very okay with it; whether it be pancakes, salads or sashimi! Why? Firstly, flowers photograph very well (hello IG). Secondly, when carefully chosen to compliment a dish, they can add light and unique flavours. Now before you raid the rose garden, do some research! Make sure your flowers are safely sourced (watch out for nasty pesticides), and if you want it to work, be aware of what flavours they'll bring to your dish. Cya kale (honestly, thank god) - 2018 has found a new favourite superfood. Hemp seeds, oil and powder are set to make a big appearance on menus this year. Again, this is pretty versatile ingredient to work with. Hemp seeds can make a great addition to salads, smoothies and yoghurt. They can even serve as a 'crumb' for fish or chicken. The oil can be a great drizzle or dressing, and the powder works well with many baked desserts. Get in early and get alllll of those 'Gram gains. Pomegranate, hummus, halloumi and harissa. We've been watching as Middle Eastern flavours have found their way into all modern menus - particularly finding a fitting place within breakfast dishes. We talk about it more here. Rustic, and filled with naturally punchy flavours - try add Middle Eastern flavour to your menu this month. Put that bottle of store bought mustard down! It's always been inevitably preferred - but now more than ever before, homemade condiments are highly appreciated, if not expected. If you haven't already, try your hand at perfecting your own condiment recipes. Make something delicious and uniquely you, and you'll have people talking for sure. We shouldn't have to tell you that catering for all kinds of diets is super valuable - but in 2018, we're seeing plant milks and meat alternatives attracting more and more love. Gaining traction among more than just vegans and vegetarians - for a full flavoured, fresh, guilt free feed. It's time to add a couple of meat & dairy free options to your menu! If not for the good karma, then for the large community of loyal customers, that enjoy sharing their vegan food finds on their IG community of like-minded followers. What else should you be watching for? Here's what else we're seeing all around. Liven is one of Australia’s leading mobile payment platforms that enables quick, seamless payments and the world’s most advanced universal rewards network of over 200,000 customers in the hospitality sector. Using data driven marketing and analytics we empower over 1000 restaurants to generate new business and customer loyalty. To find out more on what Liven can do to grow your business, click here.